Celebrate Dia de los Muertos with a cup of tea & accompanied by some curious spiders in this print of “Teatime of the Dead” by Dirty Teacup Designs! 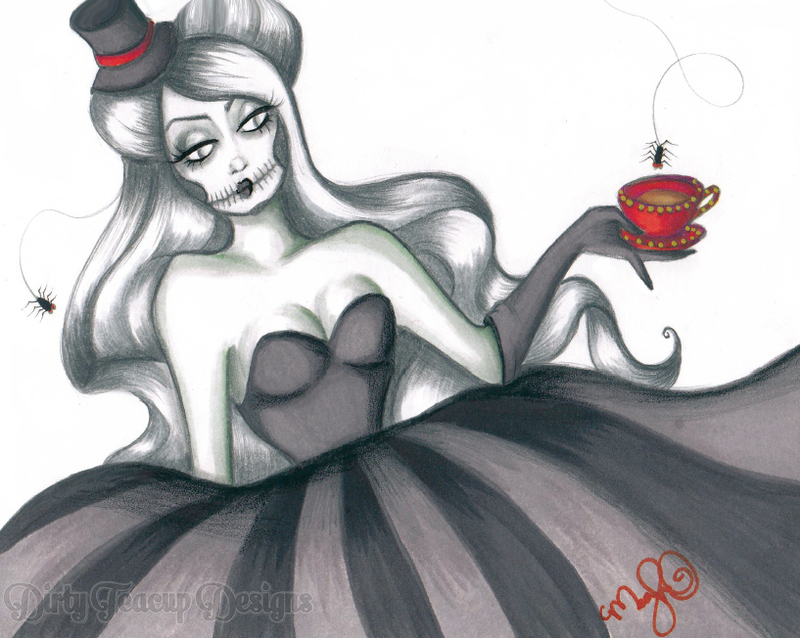 A print of “Teatime of the Dead” by Dirty Teacup Designs. “Teatime” is printed on high quality 12 pt glossy cardstock. 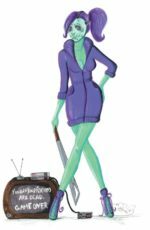 She measures 8″x10″. Print features the name on the back, as well as the Dirty Teacup Designs logo. 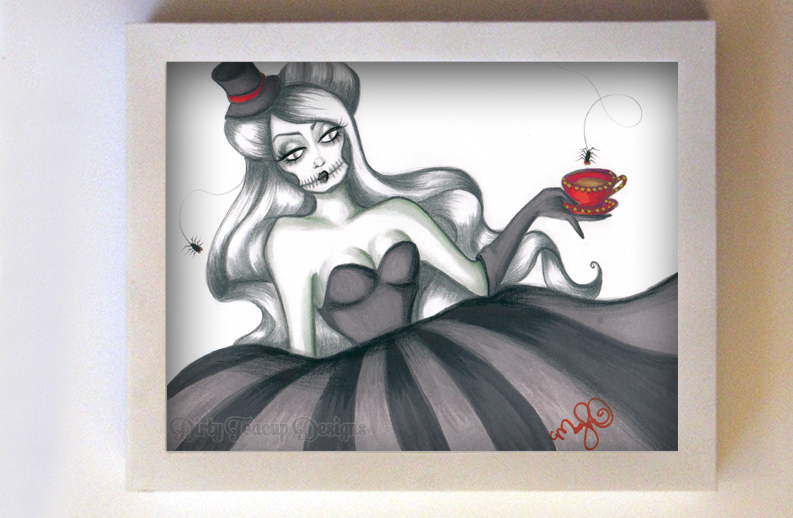 The print you receive will not have the Dirty Teacup Designs watermark on the front. 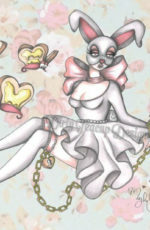 If you would like “Teatime” signed by the artist, please let me know when you make your purchase. 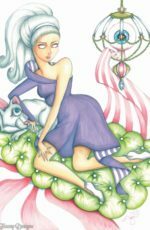 The original creation was made with markers & pencils on Bristol paper. It was then scanned and adjusted slightly to produce a beautiful print. If you are interested in the original, please send me a message! The original is 5″x7″. Artwork will be shipped in clear, re-sealable plastic bag on top of a sheet of foamboard for protection against damage and sealed in a bubble envelope. Frames are wrapped & shipped safely in appropriately sized box. A USPS Tracking number is provided in the shipping cost.